In my journey as the eternal optimist- for others, at least- I answered ‘yes’ to the call for lending my digital content and master storytelling skills to a crew of two amazing dudes, David Monhait & Zach Adamson. Together, they co-founded organizations called, DivertCollective and DiverCity. Below, an interview I composed as part of their athlete series entitled, DIVERTED. It all started with the kick-flip: a staple trick that mesmerized a restless kid from Barre, Vermont. 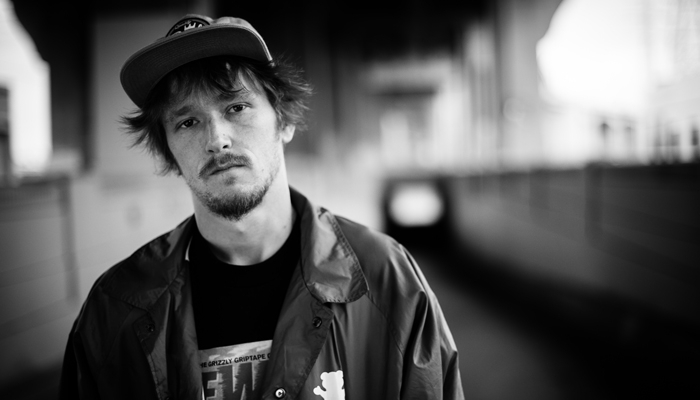 Jordan Maxham, (then aged 10, now 27), was just a simple witness; but immediately, he was hooked and never looked back. Forget what he knew or didn’t know, skateboarding was about to teach Maxham the pursuit of passion, what it means to overcome the impossible and how family can come from a tribe of athletes ready to grind. While the story ends with a clear shot of happiness, it didn’t start-off that way. “Life before I skated was just all over the place. I was a wild little kid,” begins Maxham. “I didn’t feel at place anywhere; anywhere at home.” For the son of a single Mom, growing up in the sleepy, New England small town proved challenging. Sound direction for life’s toughest questions and a confidence in who he wanted to be, didn’t come easily. With the completion of a local skatepark, young Jordan found himself introduced to a new way of finding community and facing obstacles. “This was the first thing that I decided to do for myself- I [wanted] to do this, because I [wanted] to do this,” says Maxham. With a break from business as usual, Maxham-for the first time- found himself feeding a passion he truly loved: not for the approval of others, but for the pure pursuit of hisown stoke.This became new ground for self-discovery, along with an immediate right to family. As passion became his daily pursuit, he soon received an unexpected chance that would change his life forever. On the brink of Maxham almost falling prey to the Vermont correctional system, Silent Skateboards would offer him an opportunity that he couldn’t refuse: live,rent-free, in sunny Los Angeles: all he had to do was skate. “That was my ticket,” recalls Maxham. And instantly, it was. Skateboarding not only afforded him the freedom to pursue his passions, it also manifested the provision of family he was once without. Dreams that he never thought possible of achieving, became possible. Instead of giving-in to the struggles of an all-too familiar street-culture, skateboard Diverted his focus towards the positive; providing a collection of lessons in overcoming adversity and chasing his dreams. And with that, Jordan Maxham embodies what it means to achieve your impossible. We salute his tenacity to overcome; his ability to see his dream realized, and the example he’s set for any of us, and all of us, to do the exact same.